If you have cruised with Fred Olsen Cruises, since 2000, you will already be a member of the Oceans Club Oceans Club. The Oceans Club is a Fred Olsen's way of rewarding its returning passangers with both discounts on your cruise and discounts onboard. With three differnt levels giving more rewards for the longer you cruise with Fred Olsen. 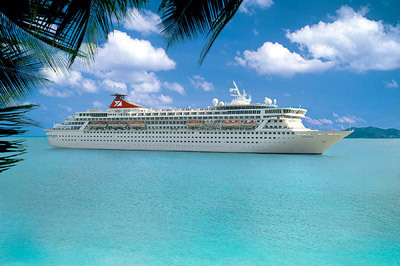 For every night you spend onboard a Fred Olsen ship (subject to their t's & c's) you will receive one crusie point. Blue membership is given to those passengers with between 1 and 30 points, Silver membership is given to passengers with 31 to 100 cruise points and Gold Membership is given to passengers with 101 nights or more onboard with Fred Olsen. The benefits of each level of membership are shown below, the more you crusie the greater the rewards with Fred Olsen Cruises Oceans Club. Please note that these benefits are all subject the Fred Olsen's Terms & Conditions.